My family LOVES energy bites! Not only are the delicious, They are packed with fiber, protein, and some sweetness. No refined sugars or processed gunk. I like that you can change the mix-ins to what sounds good or to what you have on hand. We have made a couple of batches of these and packed them in our travel cooler for family trips. We will also pack deli meat, trail mix, cheese, fruits, and lots of water. When you have tasty snacks, you are less likely to grab something at a gas station or from a fast food joint. I hope you enjoys these as much as we do! Warm up the nut/seed butter with the honey until combined and thinned. 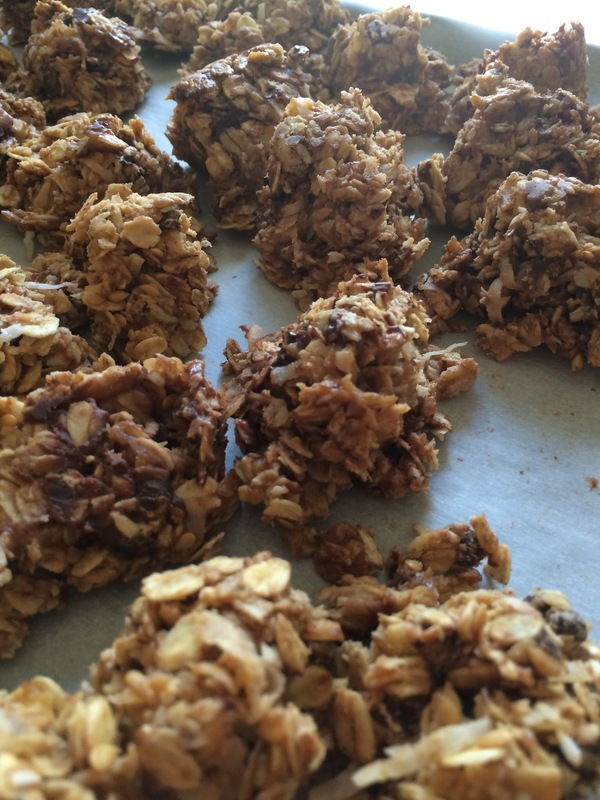 In a bowl add oats and mix-ins of choice (wait if adding chocolate chips- they will melt down). Stir in butter/honey mixture until combined (you should be able to scoop out balls with a mini scooper). If it isn’t sticking enough add some more nut/seed butter. Mix in chocolate chips (if wanted). On a cookie sheet lined with parachment paper, scoop out the mixture with a mini scoop. Refrigerate for about an hour and transfer to a container. Keep refrigerated. *warrning these are highly addictive. If your husband is anything like mine, they won’t last two days! Next Post National Ice Cream Day! Hey, they sound almost like the granola I make. I toast it. Never thought of making energy bites out of it! But I will now! Fantastic idea! Do you think it will work with Maple Syrup instead of honey too? Thank you! I’m sure maple syrup would work as well. I’ve never tried it, but I may now! I hope you enjoy them! I’m looking forward making a batch!!! These look and sound yummy! I can’t wait to make some. Thanks for sharing. I hope you enjoy them! I need to make a batch, but am out of honey!